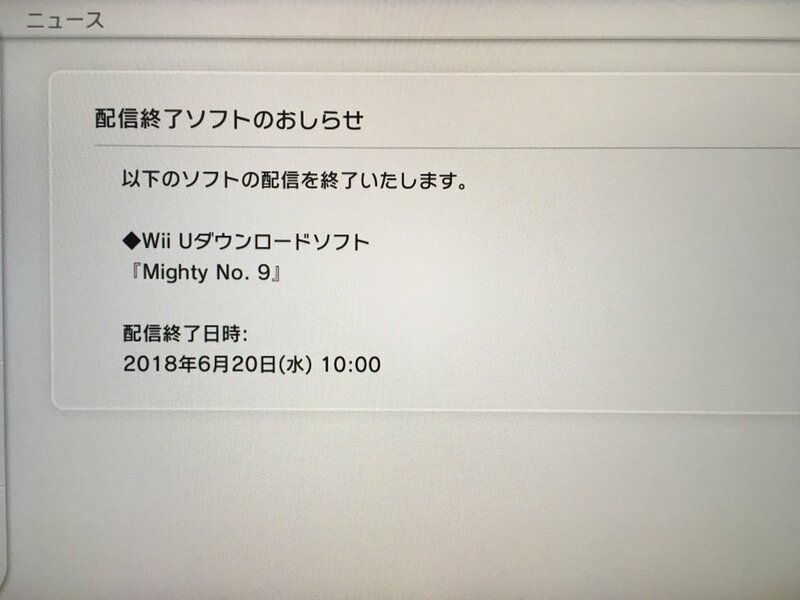 According to an official notice posted to the Japanese Wii U eShop, Mighty No. 9 will be de-listed from the storefront on Wednesday, June 20th, at 10 am. At the moment we don't know if this will affect the PlayStation 4 or Xbox One version, nor do we know if the game will be removed in North America and Europe. Although no reason was given why the game will be removed, it could be due to Level-5's acquisition of Mighty No. 9 developer Comcept which took place exactly one year ago today. I'll keep an ear to the ground for updates. Thanks for the tip, ZerokageHB! People will probably make some stupid jokes about the game, but the reality is that it's probably a waste of time and space to keep a lot of games, not just Mighty No. 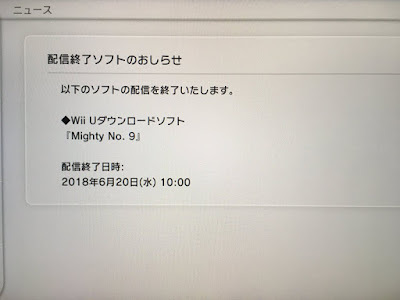 9, on the Wii U's eShop. Maybe it'll appear on the Switch, but I doubt it. I'm glad someone said this. I was a little suspicious, myself, until I noticed that it was the Wii U version. It's a dead system, as far as Nintendo's concerned, so removing games – particularly games that aren't making much money, just makes sense. It's not a big loss. You can still buy it on Steam. It's obviously so that the Wii U version doesn't compete with the 3DS version when that definitely comes out. This Anon knows what's up! You'll all eat your hats when the Vita version of Mighty Number 9 is on the top of the Media Create chart.